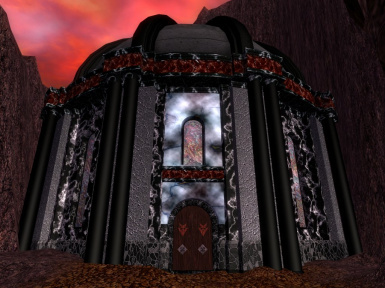 Daggerfall Memories: The Liberation of Cybiades Version: 2.1 by Deathless Aphrodite An adventure taking place on Cybiades island, straight from the Daggerfall game. 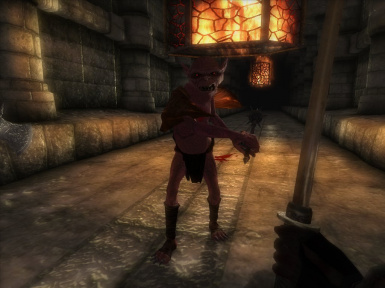 Tons of new content, npcs, creatures, dialogue and much more. And a very original dungeon. On 29/07/2010 I have added links in the mirrors section to an omod version with a script which should silently take care of all the compatibility patches. If you have Obmm, you can try it out. Credit for the script goes to Octavius2250, Gudwyn and Titan of Ether. The omod version is self contained and you need no other files if you download it. Since it is probably not so clear, this version contains BOTH episode 1 and episode 2. I named it episode 2 so that it's clear there's a ton of a new content, it's not just an update. The two "Cybiades Needed Files" archives contain all the mod's files for version 2.1. If you get a crash when a fireball falls from the sky, towards the end of the first quest, then download and activate the fix I've uploaded. To upgrade, just download the small update file from version 2.0 to version 2.1. If you use the compatibility patches, download them again (they're updated too) and install any of them AFTER installing the update. I fixed some small bugs and repackaged all the bsa files from the previous versions, they are now 3 instead of 6 (for a total of 6 anyway, since the new episode has 3 more) and they are globally smaller too. That's why right now there is no option to upgrade from the old versions, my advice would be to delete all files beginning with Cybiades from your data folder and copy the new ones, absolutely without making a clean save. 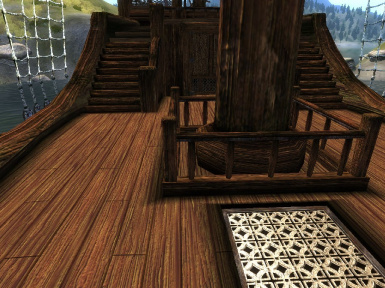 The smaller archive contains compatibility patches for Knights of The Nine, Beautiful People, Unique Landscapes Beaches of Cyrodiil, quite self-explanatory. The BP patch can be used together with any of the others, if instead you are using both Beaches of Cyrodiil and KotN, just use the Beaches patch, it will work. 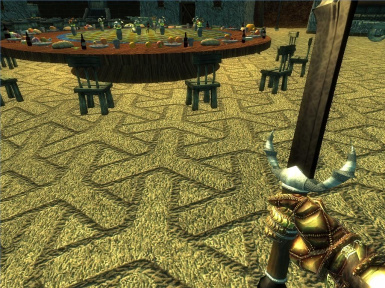 If you use the old Oblivion Patch version 1.1, and don't want/can't upgrade, contact me here and I'll tell you how to make the mod work, it's quite simple. Only the first quest will work though, not the second. A first episode taking place on Cybiades island, straight from the Daggerfall game. And a second episode taking place in a very unusual, totally custom dungeon. 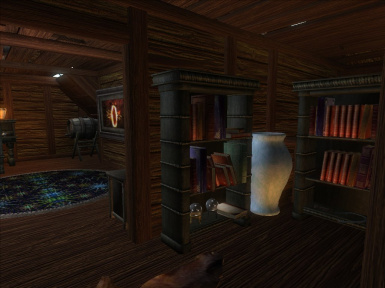 Tons of new content, npcs, creatures, dialogue and much more. 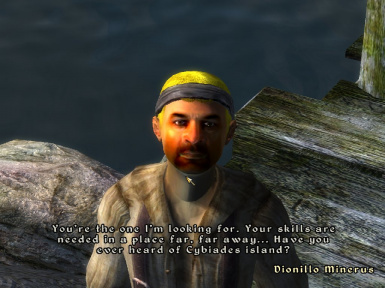 To begin the adventure, go to any town in Cyrodiil and wait for a character named Dionillo Minerus to approach you (he will take at most one game-day to reach you). 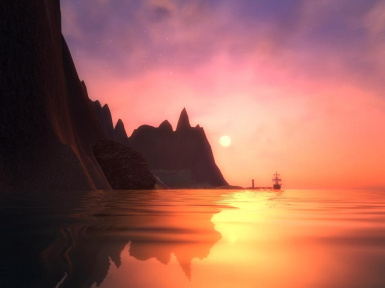 This is a quest mod and a dungeon mod, but it also introduces new landscape and tons of new content, as described below. It involves an adventure taking place on the island of Cybiades. For those of you who played Daggerfall, or have good knowledge of Tamrielic geography, this place will be quite familiar. It is a small island not far from the city of Sentinel, in Hammerfell. 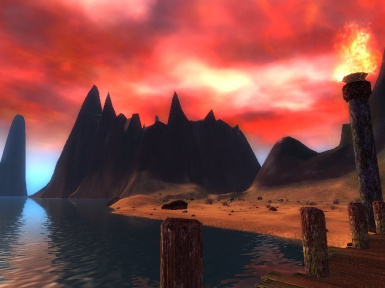 This province is located north of Cyrodiil and it could be explored in the Daggerfall game. Take a look at the pictures below for some maps of this island's whereabouts. 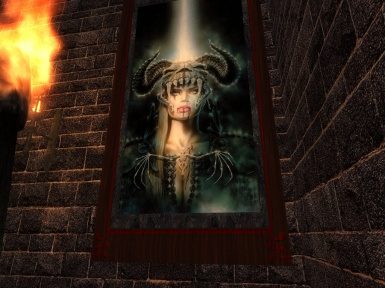 Anyway, this mod can be defined as lore-friendly, since it makes many references to past events in Tamrielic history. I don't want to spoil the plot, just know that Dionillo Minerus will come looking for you. Just listen to him and your adventure will start! The first quest is not very long, but I tried to make it original in looks and succession. 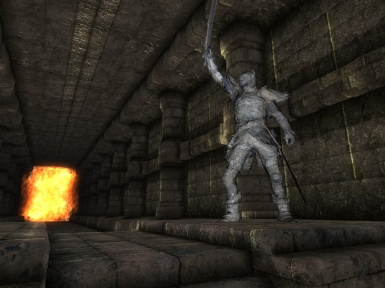 The second episode's dungeon is totally custom and really different from any vanilla dungeon. 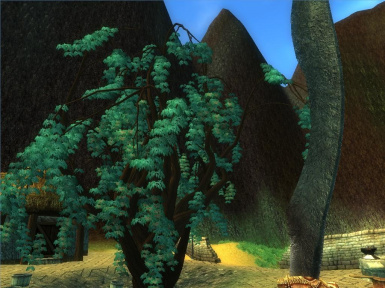 To start the second episode, you have to leave the island AFTER receiving the prize for completing the first quest. The next time you will get on the island, there will be someone waiting for you at the shore and the second quest will start. 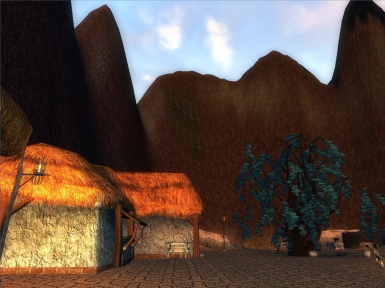 In building the island and the dungeon, I made or modified lots of new, custom content, ranging from land textures to weather patterns, sound effects and architecure tiles. Here are some details of what the mod includes. If you have the old version 1.0 or 1.1, just delete all files beginning with "Cybiades" from your data folder. DON'T MAKE A CLEAN SAVE. Unpack the archive (or the archives depending on which site you downloaded from) and copy all files in the oblivion/data folder. All the data is spread across 6 bsa files. This is more tidy and with 6 files you should get better performance. You need to activate cybiades.esm, cybiades.esp and cybdungeon.esp for the mod to work. 2. Delete the files associated with the mod. They are all in the data folder, not in subfolders, and they all begin with cybiades. The mod is almost 100% new content, so there cannot be big incompatibility problems. 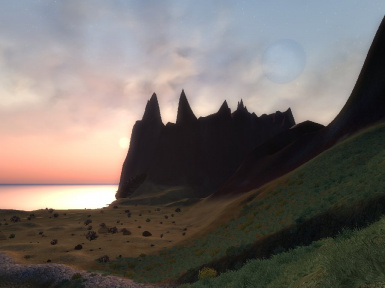 There are compatibility patches for the only mods known to have some problems with this mod: Beautiful People, Knights of the Nine, Unique Landscapes: Beaches of Cyrodiil. 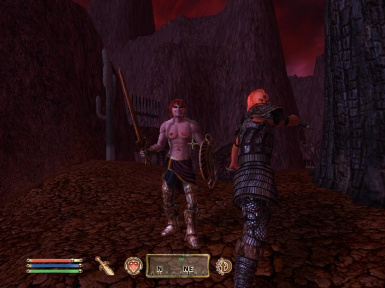 The mod should work with any version of Oblivion. Should there be problems with anything, let me know and I will address them. I thoroughly tested the mod and there are no known bugs right now. Performance wise, the mod should not give problems, since I tested it on a 3 year old pc and it was quite smooth. Only when reaching the island you will get some one-time heavy stuttering. The dungeon has one room which is graphically demanding, I've done my best to optimize it and there shouldn't be playability problems. 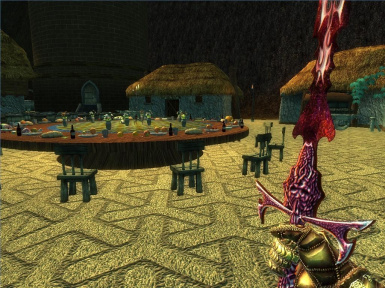 IMPORTANT: when Dionillo comes looking for you, you must be in Cyrodiil, not the Shivering Isles, or he won't find you. Don't activate the mod before exiting the starting sewers, or Dionillo will get stuck in jail (yeah...). More over, it is better to wait for him inside a town, otherwise his AI may have trouble finding you. Sadly some engine AI glitches can't be undone. 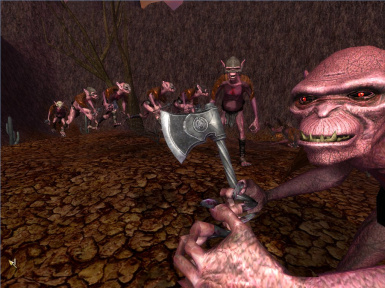 2.1, 2008/04/03 - Fixed some bugs and glitches: Redskin Goblins appearing when you pay a fine or go to jail (don't ask), the fire wall not disappearing, Mordax's reference getting reenabled, a double space in a dialogue line, missing collision on a sewer grate, bad collision on a rock. 2.0, 2008/03/21 - Episode 2 release. Small bugfixes and optimizations. 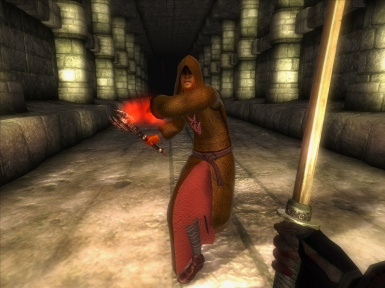 1.0, 2007/06/26 - Initial release. TeamGecko for TES4Gecko, and ScripterRon in particular. He made load order problems go away. 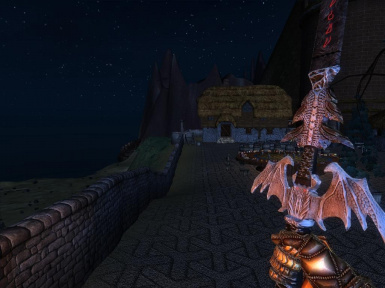 Tigin for the Tigin's Weapons And Armor mod. I modified an helmet, a shield and a sword from this mod. AlienSlof for the Oblivion Goth Shop mod, providing me with some models which I partially retextured, and the Clouded Leopard Race mod, which made a very special Khajiit in this mod possible. Joel Huenink for his beards resource. Noirgrim, formerly of the Tamriel Rebuilt team, for a wonderful map of Cybiades' surroundings, slightly modified by me. 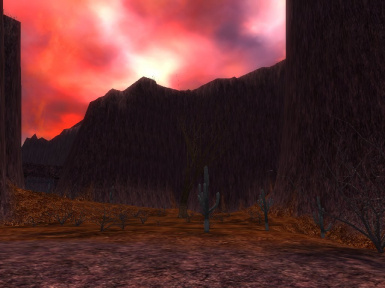 Mind you, this is not the map you access through the inventory, but something you'll find ingame. 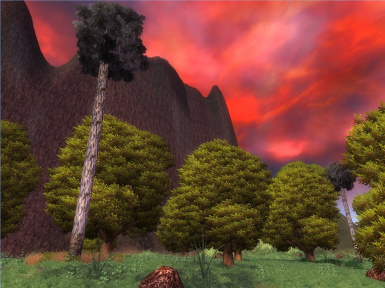 Phitt for the Loreless Creature Pack, providing me with the base for my remodeled and retextured giants. The Lore Creature Expansion team, and in particular Cryonaut, Xmarksthespot, Grimeath, Renzeekin for the giant spider, which I partially retextured and transformed into a smaller version. Daniele, Valentina and Ibsen's Ghost for the voice acting. Kafeid for his pierced ears resource. MrSiika for his wonderful bats. tarnsman for the wogs and mantises. Spartan VI for his armor meshes. combat chuck for the Rough Scimitar mesh. Seph for his animation techniques. Nicko99, Slash197, Robert2, Alienslof and dewshine for the skirt I retextured. jojjo for the Darkflame shield and sword models, which I retouched and retextured. All the guys who created the free distribution models I retouched and retextured. growlf for his pyramide, which I modified a bit. All the painters whose works I used to create some paintings in the dungeon. ElminsterEU for his incomparable help. lilith for all the support and help and testing and kindness. Dall for lending his texturing skills. My girlfriend and her brother Stefano for some wonderful ideas. 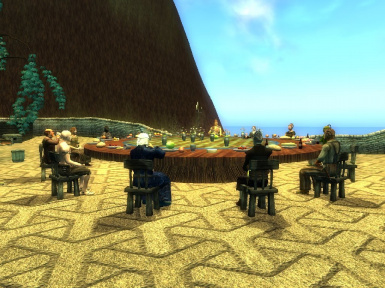 All the people who gave me incredible help on the Official TES forums, on the Silgrad Tower forums and on the Tamriel Rebuilt forums. You must contact me and obtain my permission before re-packaging any part of this mod. If I do not respond within 2 weeks, feel free to do whatever you like with this mod.